When you come to Belize, you will most likely be flying into Belize City. 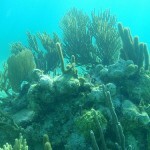 Most people when thinking of Belize think of the beach and the Belize Barrier Reef. You most likely will be staying at Caye Caulker or Ambergris Caye. Ambergris Caye is the higher end of the two islands. You could spend as little as 2 days or as much as a week or two depending on your objectives. For those liking to dive, the main spots are the Blue Hole, Glover’s Reef, Shark Ray Alley, and Hol Chan Marine Reserve. You should be able to visit all of these locations from Ambergris Caye or Caye Caulker. 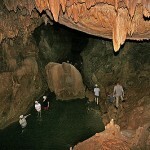 Since you can’t fly 48 hours after diving, I would recommend several other activities from a base of San Ignacio, Belize. This is located about 2.5 hours west of Belize City. 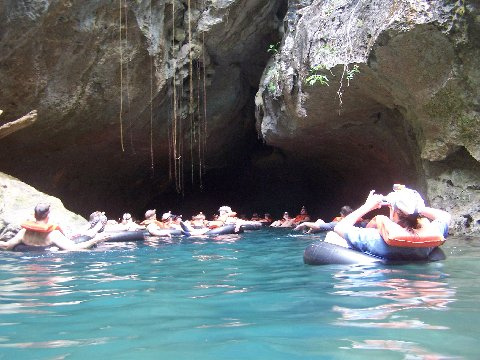 From here, you can go Cave Tubing on the Caves Branch River, Day Trip to Tikal in Guatemala, or visit Actun Tunichil Muknal (ATM) a Mayan Burial Site in a Cave. From left to right, the pictures are of ATM, Belize Barrier Reef, Cave Tubing, and Tikal.. I will show you to fit all of these activities into a long weekend (5 days), but they can be done more leisurely over a full week. I traveled to Belize in May 2016 and have listed 10 Tips. There advantages and disadvantages of both islands from what I have read. It is important to remember that the two islands are only 30 minutes apart. One could easily stay in Ambergris Caye and spend some time in Caye Caulker. 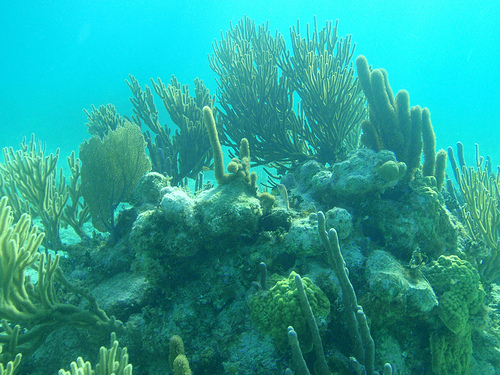 The Blue Hole is located closest to Caye Caulker. It is possible to snorkel and scuba dive at the Blue Hole. Can I travel to Actun Tunichil Muknal (ATM) in Belize on my own? I was trying to research the feasibility of this option. You can definitely drive to Teakettle, the last major town before need to head off road to get to ATM, but you will need a certified guide to do the tour. From my research, they don’t offer you any discount for meeting them at Teakettle. If arrive from Ambergis Caye / Caye Caulker and plan to rent a car, you would meet the tour group in Teakettle. Pacz indicated that we would be able to meet them at 9:00 am in Teakettle and park. From talking with a tour operator (Mayawalk), it is possible to get a private tour for $150 per person (based on 2 people). This will allow you the most flexibility. 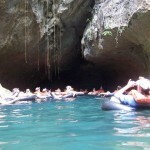 This is another full-day activity (9 hours) that can be done from San Ignacio and will give you about 4 hours at Tikal. It costs about $150 per person. If you do rent a car, my assumption is that you could significantly cut down on your costs for this trip. Tikal is open from 6 am to 6 pm. It takes about 2 hours to get to Tikal from San Ignacio (2.5 hr from ATM). One person indicated that about 3 hours is enough at Tikal. Rental car company will offer crossing the border. Without a guide, one can see Tikal in 2 hours. 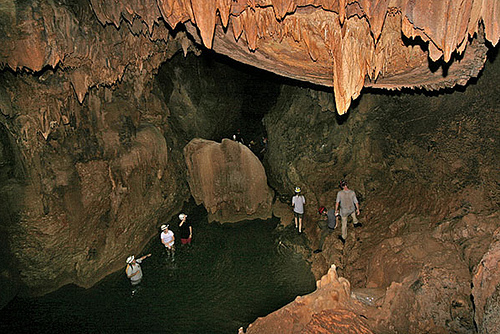 This is located within San Ignacio and can easily be reached. From reviews on TripAdvisors talked highly about it mainly for its convenience. This is located about 30 minutes from San Ignacio and 1 hr 10 min from Teakettle. This is considered the most impressive Mayan Ruins in Belize, but Tikal would be the most impressive in the region. To reach the park, there is a hand cranked ferry (takes only one-car at a time) utilized to ferry your car across a river. The park closes at 4:00 pm. To travel between the mainland and the islands, one will need to take a water taxi. It is a $35 RT per person for a ticket to San Pedro in Ambergris Caye and takes 75 minutes from Belize City and $20 RT to Caye Caulker. The first ferry departs at 6:00 am and would get in around 7:15 am. Crystal Rental Car offered to pick us up at water taxi and take us back to rental car shop to pick-up our car. The drive is to Teakettle of 1 hour and 15 minutes. Hopefully, we would arrive their around 9:00. It is about another 30/45 minutes to park entrance. From a couple of operators, it looks like the cost can run from $35 per person (3 person minimum) if sharing transportation (i.e., mini-bus) to $95 for a private transfer. Unless you have a large group, it probably makes most sense to try and team up with other people once at the airport and/or marina. Budget and Hertz are located on the island and offer SUVs for $75/$95 per day. (Unclear why cars are not offered) When you drive in Belize, you must have insurance. There are local car rental operators, but travelers on TripAdvisor didn’t appear sold on any of them. The main highways are paved and well maintained. Gas is expensive on Belize relative to the US. If you are large group (2+), it can make sense to rent a car especially if you plan to visit Tikal on your own. The rental car company opens at 8:00 am. When traveling from the US, it is generally feasible to arrive early morning in Belize. I did not see any red eye flights. On return, most of the flights leave around lunch time. I would have liked to do ATM first, but I don’t think it is feasible to get to ATM before it closes. I plan to research further. You will be tubing for 7 miles.